Producing blind bores into precision machined components, and responsibly quoting for them, should always result in more questions for the customer. As much as time is short during our busy working days, and these queries often result in a little lost time, it’s always worth investigating at the design stage whether the form required suits the process needed to produce it or will require a non-standard tool. Designers are often quick to add a “shoulder” type form at the bottom of the bore, referred to as a “flat bottom” but there is rarely a true requirement for this and the consequences can impact the competitiveness of the quotation both in terms of cost and lead time. Deep hole drilling and deep hole boring to a depth creates what is referred to as a “w form” as standard. In some cases, another bore will be breaking through into the initial blind bore causing most of the w form to be lost and leaving a step either side. However, when there is a single-blind bore, it is unusual for the w form to really make a positive impact to the design unless a mating part or seal is going within the bore which needs to fit or hit onto a straight surface. 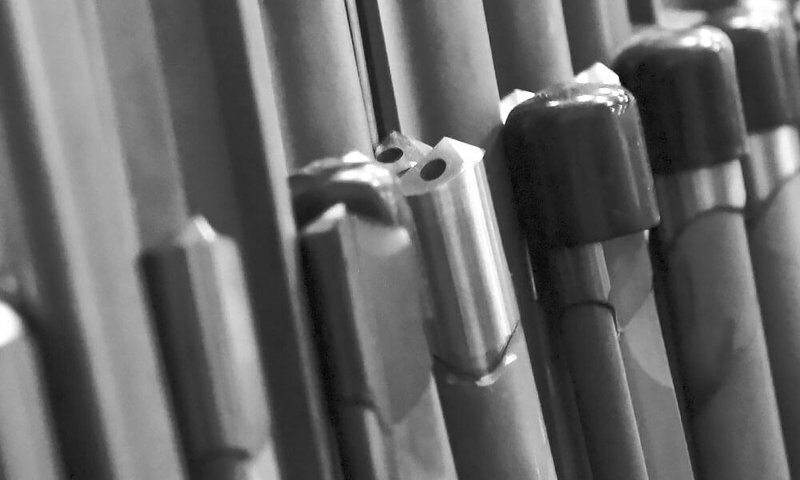 There are of course legitimate reasons for the requirement of specially formed bores, sometimes for strength or lightness, and other applications we’ve mentioned, but it is worth noting that most forms can be produced but at a detrimental effect to the cost and lead time. 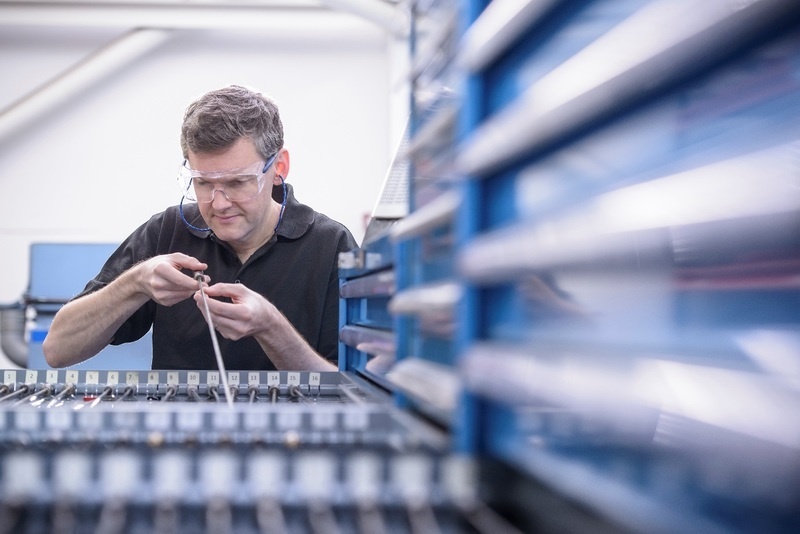 Here at Hone-All, we specialise in not only producing precision machined components up to 3 metres long but also, we work hard to ensure our customers are receiving great service alongside achieving the very best value for money too. We want our customers to win the work they are quoting as consequently, we then aim to win that work from them resulting in profitable growth for both parties. Therefore, we will always try and take a little extra time to ascertain whether a special or flat bottom form is truly necessary. How Does A Flat Bottom/Special Form Impact Your Quotation? It is worth considering when designing engineering parts that the form on the base of bores are expensive to produce, and often, a standard 59° angle is drawn which is difficult to produce with gun drilling and a great deal harder with the deep hole boring process. Often specialist tooling needs to be designed and manufactured in the case of Deep Hole Boring or 2nd operation form grinding for the Gundrilling operation. At Hone-All, we always ensure that any standard tooling is quoted within your unit price so there are no unexpected costs. However, in the case of special form drills or tools, we highlight these as an extra item so that the customer can make an informed choice as to whether they require the specific form they’ve drawn. To give an indication, within the gun drilling range of ø3-ø28mm diameter, you can add approximately £85 to £300 (depending on diameter) for a gundrill supplied with a D4 nose grind. A further £50 would be added for a special form depending on the complexity of the form itself. The longevity of the gundrill life will also be shortened as it will require being re-ground periodically to ensure sharpness of the cutting process. Flat bottom forms also impact the cost as to form this base, we must grind away 30% of the tip to create the flat bottom form. This also means that the drill cannot be re-used for anything other than us being asked to repeat the creation of the exact same size diameter flat bottom form, a rarity in our industry. 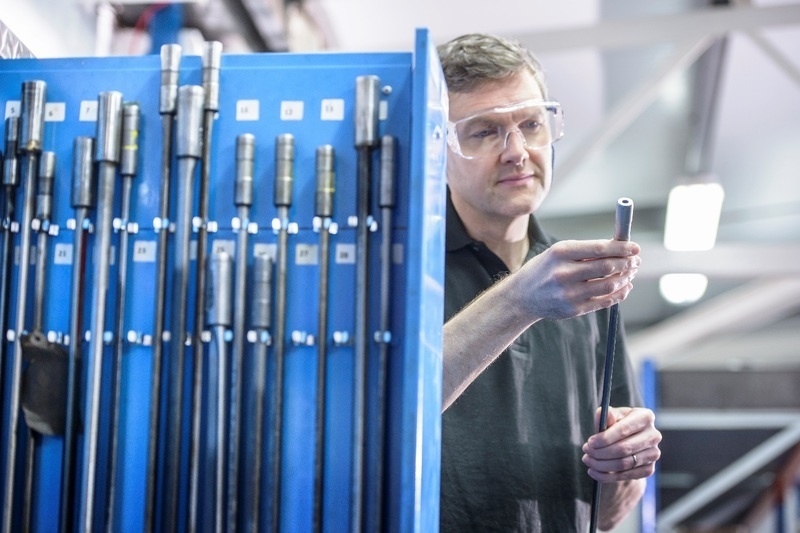 Using a deep hole boring head, say up to ø60mm, to create a flat bottom, a specialist head would have to be ordered at a cost of approximately £100. Other specialist forms can be produced but could add anywhere up to £500 to the cost – and again, are rarely re-useable. In addition to these serious cost implications, which are often prohibitive to the competitive price being expected, these add from a week to 4 weeks of lead time to the quotation impacting the speed of turnaround we can offer. 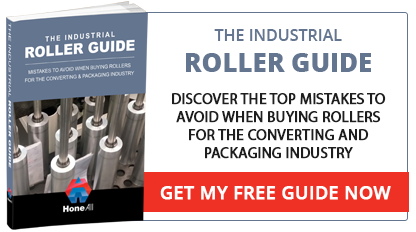 With cost and delivery being at the forefront of competitive manufacturing, these issues can be the difference between being successful in quoting and not. How To End The Bottom Discussions? To avoid these complications, always ask your designer or CAD engineers to consider what purpose the form at the base of the bore will fulfil. If there is no design feature, element or mating part requiring meeting with the base, then please consider asking them to re-draw using the industry standard “w” form achieved with standard tooling or an additional note to state that the form is to “suit the method of manufacture”. This will save queries, time, tooling and lead time for all parties concerned. Hone-All are your marvellous partner for deep hole boring and drilling. 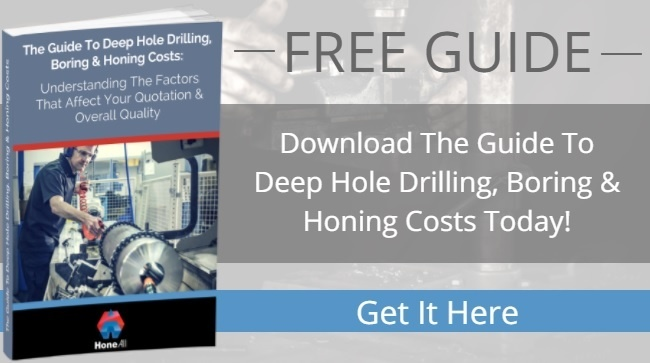 Don’t forget to download our Guide to Quoting on Deep Hole Boring which covers more features about how to ensure you get what you really need from your supplier and avoid unnecessary costs. Also, for more information on deep hole drilling and boring, check out our website - hone-all.co.uk.